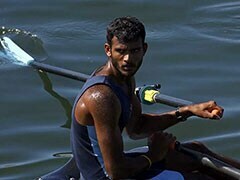 Ace rower Dattu Bhokanal had finished sixth in the men's single sculls competition of the just concluded Asiad after his boat had capsized. Ace rower Dattu Bhokanal, who was part of India's gold medal winning team in the men's quadruple sculls event at the 2018 Asian Games, on Saturday said his single sculls performance was affected due to high fever. Besides the gold, India won two bronze medals and were in five finals of the rowing competition. Dattu had finished sixth in the men's single sculls competition of the just concluded Asiad after his boat had capsized. Despite a good start, the 27-year-old rower lost momentum and missed a podium finish. 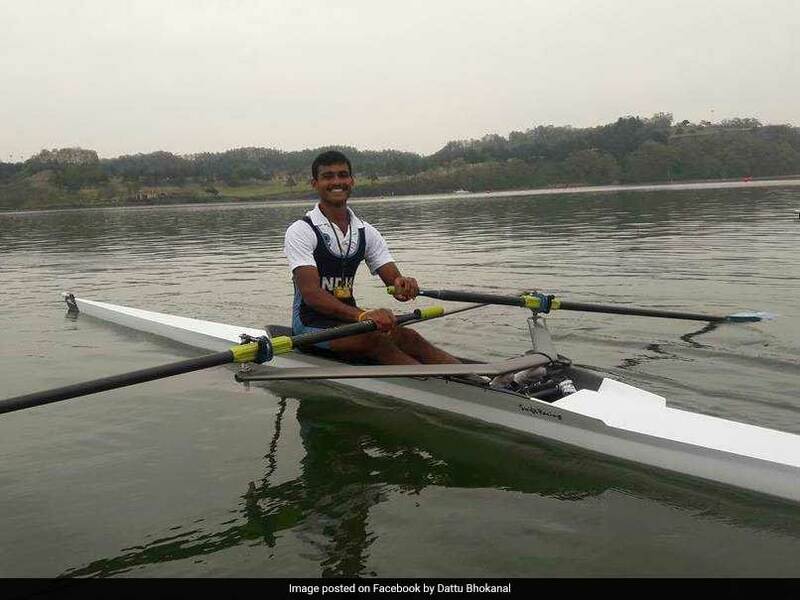 Dushyant Chauhan, who had won bronze in lightweight single sculls at Incheon, defended his third place in the event while Bhagwan Singh and Rohit Kumar helped India win another bronze in the men's lightweight double sculls. "I couldn't win gold due to high fever and was not fit even before the tournament. Since August 19, I had fever, but still managed to train," Dattu told reporters on the sidelines of a felicitation ceremony by the Calcutta Rowing Club here. "On race day (August 23), my boat (single sculls) toppled and I fell into the water. My ears and nose got blocked and it aggravated my fever," he added. "I could have performed much better had I not had health issues to battle with," Dattu said. He stressed that it was due to his teammates that he could fare well in the team event and took complete rest before the quadruple sculls. "I was disappointed as I failed in my singles sculls. My teammates were there to support me and I took complete rest before the team event," Dattu said. The Indian men's team comprising Sawarn Singh, Bhokanal, Om Prakash and young Sukhmeet Singh, were present on the occasion alongwith chief national coach Ismail Baig. Dushyant, Bhagwan and Rohit were also present. There were off-field controversies which marred the rowing contingent's showing, the biggest being team coach Nicolae Gioga from Romania being sacked hours after India bagged the gold, only their second in the Asian Games history. The tussle between coach Gioga and the Indian rowers had existed for a while and came to the fore during the Games with the former openly criticising the rowers while his methods were not liked by his wards. Asked about that, Dattu refused to blame the Romanian. "I do not want to comment on that. I took advice from our Indian coach as well and foreign coach too. I have delivered under both of them so I would not like to blame anyone," he said. Coach Baig though, was more forthright, saying Gioga's obstinate ways came in the way of the team's preparation. "He has a brilliant track record. But it just did not click with us. He never listened to the players and went about his ways," Baig told IANS. The trouble started when Gioga alleged that one of the rowers - Dattu Bhokanal - gave up the race midway. He also alleged that the other rowers neither trained enough nor followed his methods, thus becoming prone to injuries. The 66-year-old Romanian had won five gold medals with the Romanian national team at the 1996 and 2000 Olympics before coaching teams in Asia, including China and Iran. At the 2017 Asian Rowing Championships, he coached Iran to five gold medals. Besides the rowers, heptathlete gold medal winner Swapna Barman and bridge gold medallists Pranab Bardhan and Shibnath De Sarkar were also felicitated.